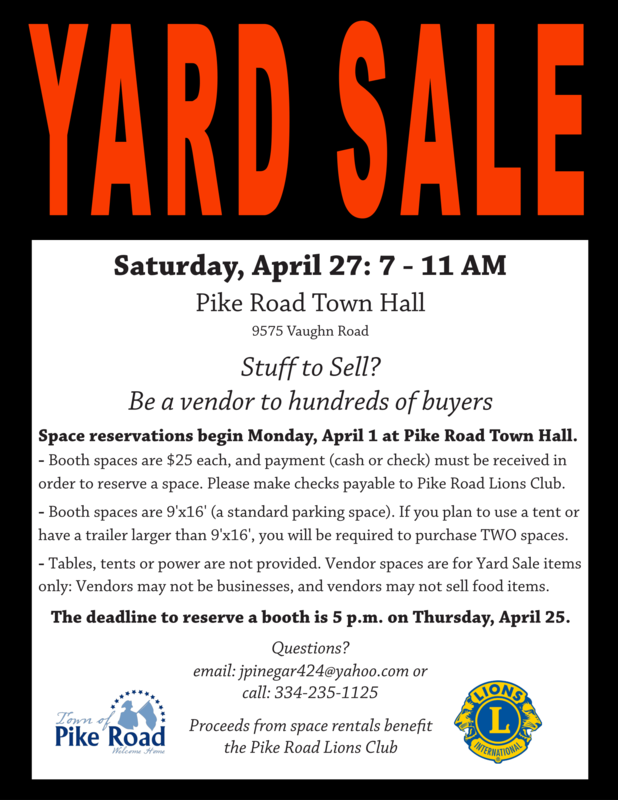 Members of the Pike Road Lions Club are gearing up to host the ninth annual Community Yard Sale. This event will take place in the parking lot of the Pike Road Town Hall on Saturday, April 27 from 7 – 11 a.m., complete with music and concessions offered by the Pike Road Lions Club. Hundreds of shoppers are expected to stop by the yard sale – potential sellers, you don’t want to miss out on this crowd! For more information call 334-235-1125.